Eating yourself to obesity – A blessing or a curse? Leave a Comment on Eating yourself to obesity – A blessing or a curse? Christmas seems so long ago and the New Year is definitely into full swing; we are in the second quarter of the year with people keeping up with the most generic and popular New Year’s resolution – going to the gym more often! Since the first week in January I’ve tried to book a place at my local Pilates and spinning class but had no luck until the last week in February. It’s still difficult to get a place in any of the classes where people book from midnight 6 days in advance! I guess everyone is trying to shed the Christmas pounds they gained. With sections of the NHS facing bankruptcy are there not other procedures more worthy of tax payers money? Why can’t obese people work out more and eat less? 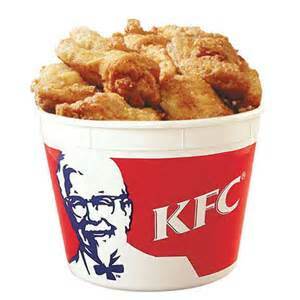 Finger lickin’ good! We’ve all had KFC before (photo Bing Images). The usual response to such questions is, ‘It’s not easy to lose weight’, which I agree with; as we get older our metabolism does slow down and if it were easy I would not be writing this post as there would be no obesity epidemic in the UK (or other parts of the world). However, most things in life are not easy, but we still do them. When Jessica Ennis ran to Olympic glory it was not easy but she did it. When mothers in rural Africa / Asia / the Middle East walk miles in the sweltering heat with their children to fetch water, it’s not easy but they do it. Anyway, back to the documentary, unfortunately Lynn was not able to have the operation first time round because the bariatric surgeon found a mass near her ovaries suspected to be cancer, but this turned out to be a cyst. I was happy that she didn’t have cancer and was able to get the surgery which obviously meant a lot to her. I don’t condone any abuse / bullying of obese people or anyone based on the way they look. I appreciate there are several reasons why certain people are obese; if these are due to underlying genetic / medical reasons, then of course they should receive expensive weight loss surgery if they are incapable of losing weight. However, I believe there are other obese people who can do more to lose weight, before applying for expensive surgery on the NHS / taxpayer. Sometimes I think that obese people are lucky that they have food at their finger tips whenever they want, especially when there are people starving to death somewhere else in the world. Nobody wakes up one morning and is obese it’s a process that happens over time, so at any point during that process a person can decide to take action whether, it’s reducing their portion size or doing more exercise. The aim of this is not to look like a super model (my opinion is not based on vanity) but to have a better quality of life, a healthy life. During the documentary the bariatric surgeon said that weight loss surgery will be cheaper long-term. In theory if obese people lose weight then their general overall health should improve and they will not need a cocktail of medication for chronic illnesses resulting from their obesity. Weight loss surgery on the NHS has quadrupled in the last 6 years and costs £10,000. 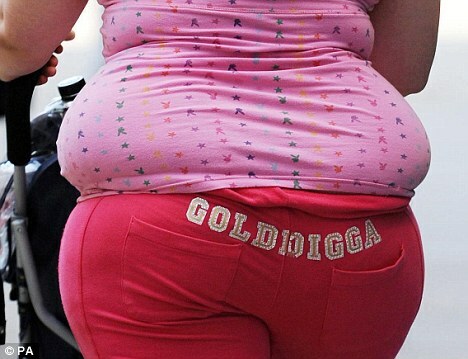 Overall obesity costs the NHS £4 billion and its cousin; diabetes cost £10 billion each year. Our lives in their hands (photo Google Images). Well, whatever Lynn decides to do on the weekend, I guess the NHS is there for all UK citizens who pay their taxes regardless of the type of care they need. So Lynn is just as entitled as I am and that is one of the best attributes of the NHS, even though going through difficult times now, it is there for us when we need it. Maybe it’s not Lynn’s fault that she is obese? Shops are always open, even on Easter Sunday and Christmas day you can find some food if you really wanted to. It’s true that the great London 2012 Olympic Games were sponsored by McDonald’s; maybe in the UK we are actually blessed to have food all around us?! At least the majority of people are not starving; recession or no recession it looks like we will just keep eating more and more. No matter how expensive food becomes, it will not cost as much as the latest gadget or designer hand bag so will be ‘affordable’ for the majority. The type of food that people consume is another issue of course. Whether a friend or foe food is something we can’t live without! You can watch the ‘Keeping Britain Alive: The NHS in a day’ documentary on BBC iPlayer. In the US McDonald’s ‘super-sized drinks used to be 42 ounces until banned in 2004; now they are only 42 ounces; in the 1950’s McDonald’s drinks were 7 ounces in size! According to NYC health authorities, ‘a 32-ounce cup of a cola drink has 374 calories and 102 grams/26 teaspoons of sugar’. In a city where an estimated 58% of adults, 40% of public school children are overweight or obese and 10% of adults have diabetes maybe they need a cap on drink size! Obviously the law will have to be adjusted to include all relevant companies to be fair, but I think it should be imposed. If I had a small fast food business, I probably would not be happy about losing some business from my large drinks, but then I could always diversify my menu and STILL sell drinks of smaller sizes. It is for the greater good :-).